With summer nearly underway, I would say Lei Shishak’s timing is impeccable. Lei is pastry chef who got her start while living in New York City. One day, while passing a neighborhood sweet shop, she took a chance and applied for a weekend job decorating cakes. The rest was history – or rather, a baker’s dream come true! After enrolling at the CIA and graduating at the top of her class with honors, Lei flew out to California where she eventually landed the role of Executive Pastry Chef at the Stonehill Tavern in the St. Regis Resort. With said accomplishments under her belt, Lei felt it was time she opened her own bake shop. She is now the proud owner of San Clemente’s Sugar Blossom Bake Shop. The adventures don’t end there, though. 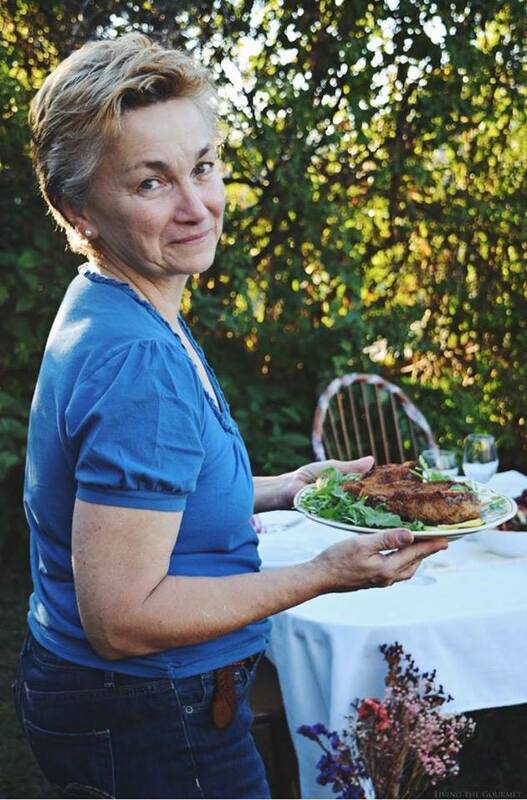 Aside from exploring tidal pools, bike riding around the California mountains, and creating new recipes in her ocean-view loft. Lei has also been working on a recipe collection of all her favorite summer delights. Lei‘s upcoming release, Beach House Baking, is everything you might expect from a breezy summer cookbook and then some. 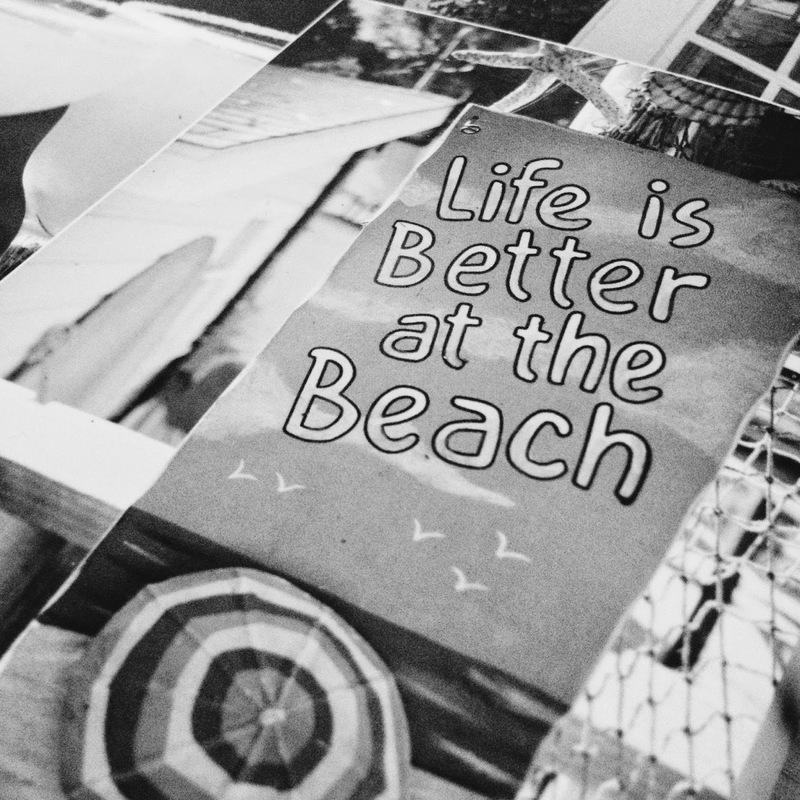 Between decadent cupcakes, beachy drinks, wholesome breakfasts, and seasonal pies, there is a recurring theme throughout Lei’s recipes – Life is Better at the Beach. Recipes like Waimea Bay (the Hawaiian-inspired red velvet cupcake), Santorini Exalted (Greek island-inspired Baklava), and the Coconut Chai Tea Latte are accompanied with picturesque details that will transport you to the most exotic places imaginable. Lei’s recipes are designed to take anyone to any number of wonderful places, turning the task of baking into a journey of the senses that will whisk you away to a beachside paradise. 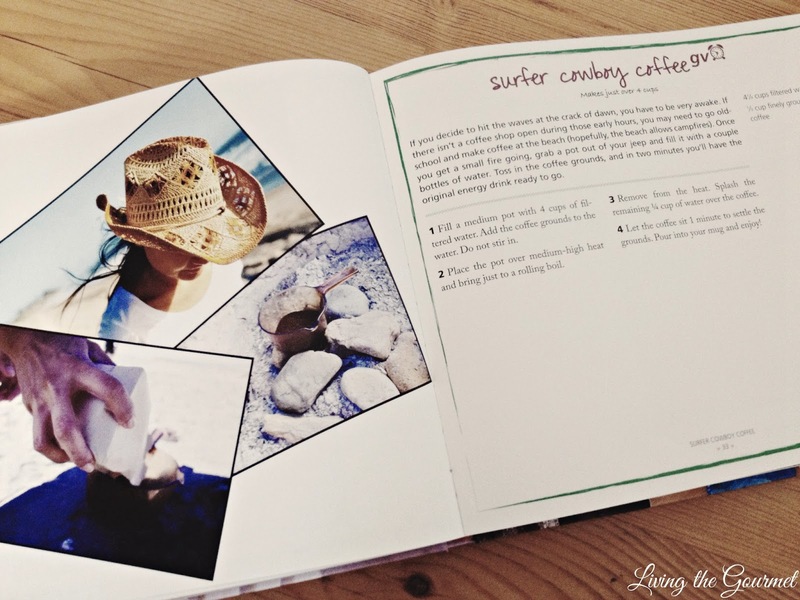 For those seeking to be adventurous, I recommend you try Lei’s Surfer Cowboy Coffee – a beach bum’s method to brewing good strong coffee at the beach. If you are seeking to enjoy the summer’s balminess from the comfort of your back porch, then try the Apple and Ginger and Pear, oh my! This is one of my favorites. 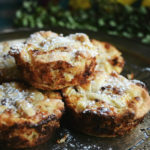 From the very first bite, you get taken away with the combination of sweet fruit, warm ginger, and melted butter between the layers of crust. It is pure bliss. 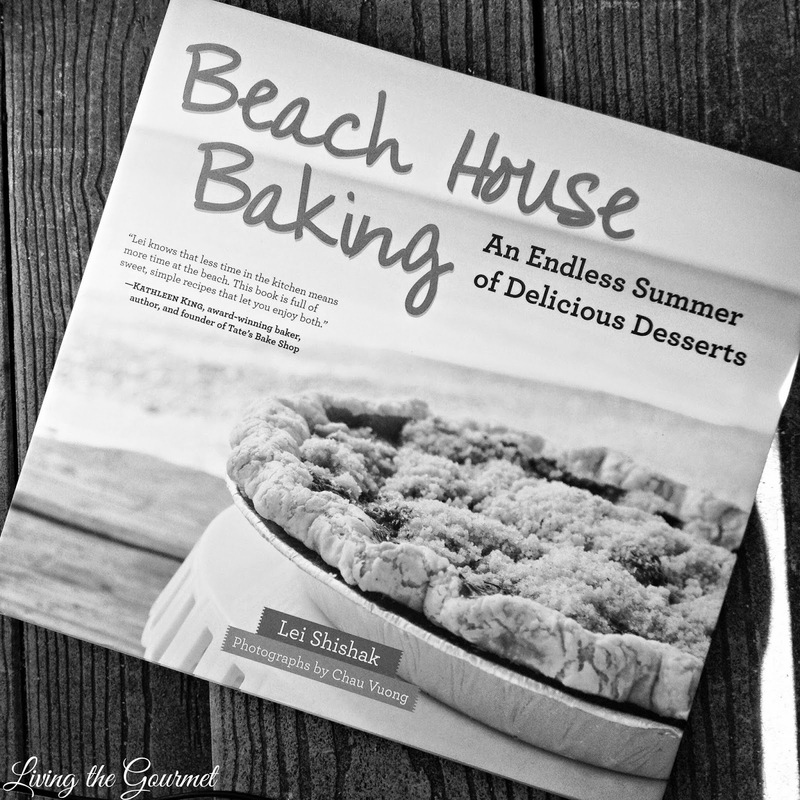 Beach House Baking has easily become one of my favorite cookbooks of the season. 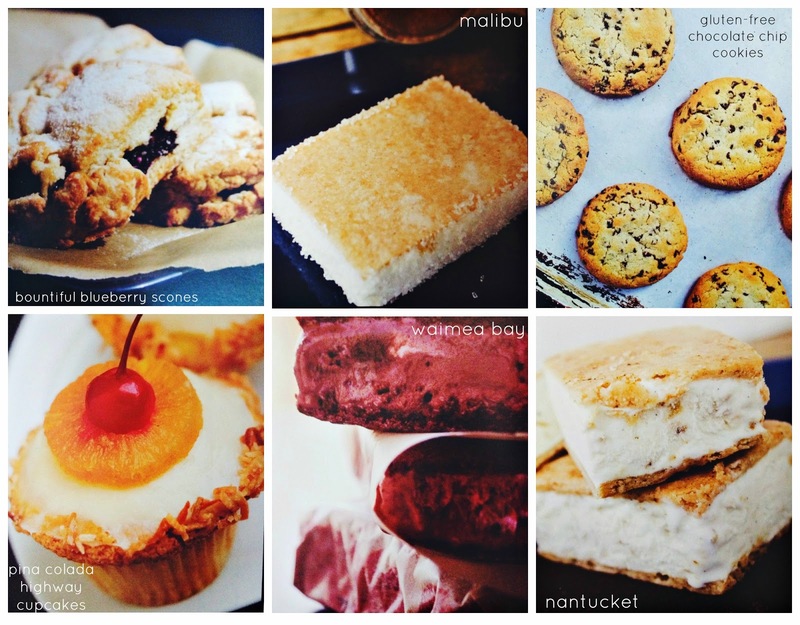 I can already tell it will be an endless summer of delicious desserts. Lei Shishak speaks directly to my inner surfer girl soul, and leaves me with a little bit of summer with each of her recipes. **I was given this product for review. I was not financially compensated for this post. All opinions expressed are my own. 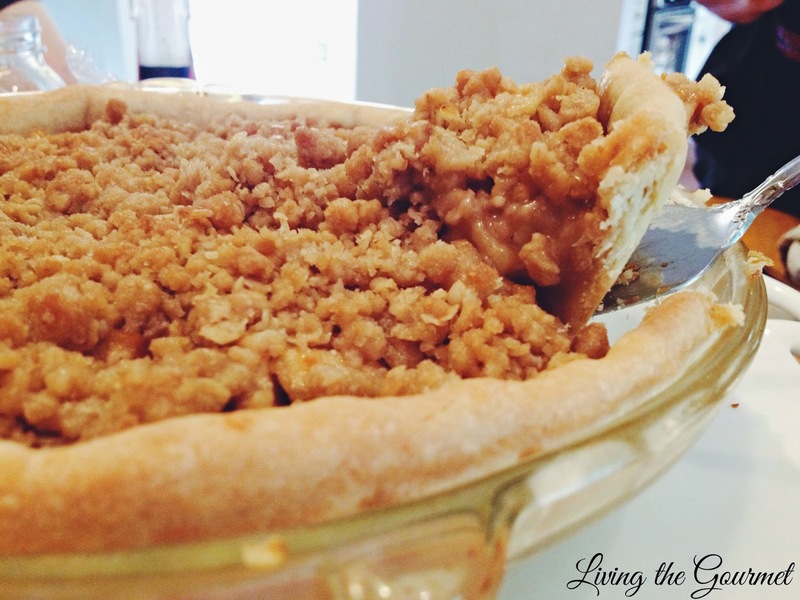 In your food processor, blend flour, sugar, salt and butter until a fine crumble forms. Add the water and blend again until a soft dough forms. Turn the dough out onto a floured work surface. Gently shape it into a disc. Wrap in plastic wrap and refrigerate for 1 hour (can be left for up to one day; freeze for longer storage). Remove dough from the refrigerator. (It will be very hard but keep pressing it with the rolling pin until it begins to flatten down) Roll out on a lightly floured surface to a 12-inch circle, about 1/8-inch thick. Fit into your 9-inch pie plate. Press the dough down evenly into the bottom and sides. Trim the dough with kitchen shears leaving a ½-inch overhang. Set aside. Prepare Crumble: In a food processor, combine all the ingredients until the butter has broken down to pea size. Keep in the refrigerator until needed. Prepare Filling: Place the apples, sugars, flour, ginger, orange juice, zest and salt in a large glass bowl. Toss to combine. Transfer to a saucepan and cook for 8-10, just until the apples are tender when poked with a fork, but still holds shape. Transfer the apples to the prepared pie shell, top with butter and bake for 20 minutes. 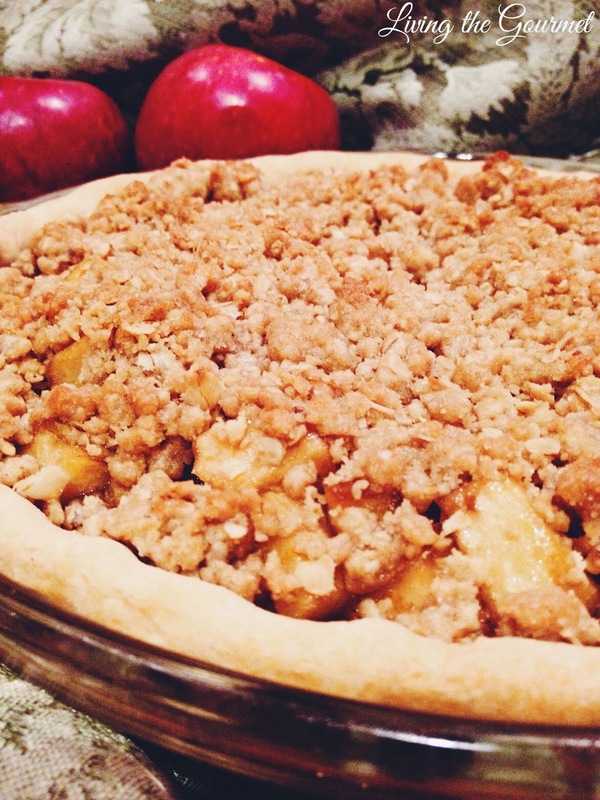 Remove from the oven and sprinkle the crumb topping over the fruit. Bake for 25 minutes more. Let the pie cool for at least 30 minutes before serving. Oh Tammy this pie looks awesome. Mouth watering in fact. The pie looks glorious, Tammy. 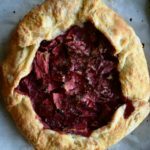 This pie looks divine! 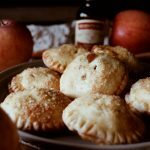 I LOVE me a good apple pie! 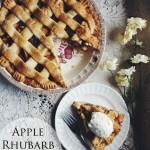 I love to find a new recipe and your Apple Ginger pie sure sounds and looks good. I will be trying it soon. 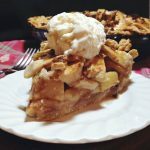 Love Apple and love Ginger so it has to be a hit Thank you for sharing with the Clever Chicks Blog Hop! I hope you’ll join us again next week! Oh, apple and ginger! That sounds like a great combo. I'll have to put this on the menu plan for the fall. I bet that smelled so divine baking in the oven. Thanks for sharing at the Merry Monday Link party. 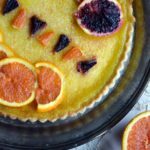 Thanks so much for sharing this delicious summer pie with Foodie Friends Friday party this week. I've pinned and shared. Hope to see you again next week with another delicious recipe. Apple and ginger is a winning combination, indeed! Thank you for sharing at Thank Goodness It's Thursday. 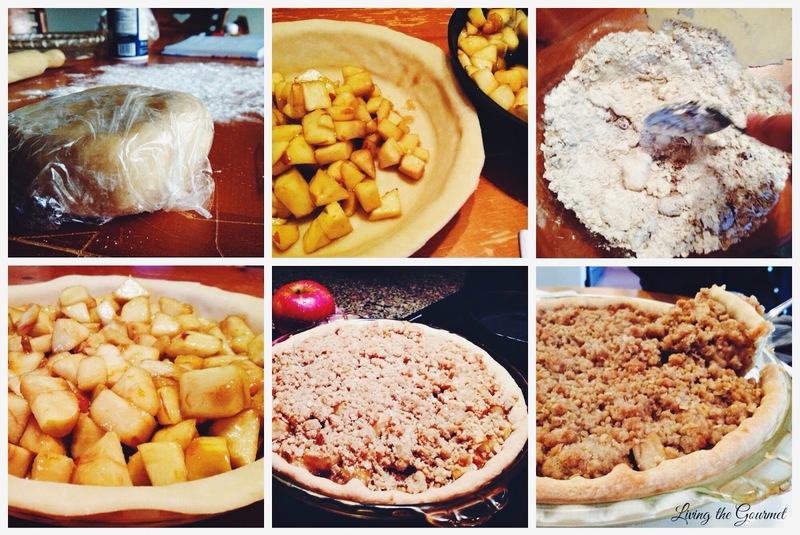 We always have special recipes that we have at the lake and your Apple Ginger Pie would be a great recipe to try. Thanks so much for sharing this awesome recipe with Full Plate Thursday and come back soon!